Plant and animals lead completely different lifestyles. Plants usually grow in one place and use the energy of the sun to produce their own sugars and energy. Animals, on the other hand, actively roam around and eat ready-made food, such as other animals or plants to gain energy and grow. Because of such significant differences, their cells also look and function differently. But there are some common components in their cells as well. What would you find in both cells? 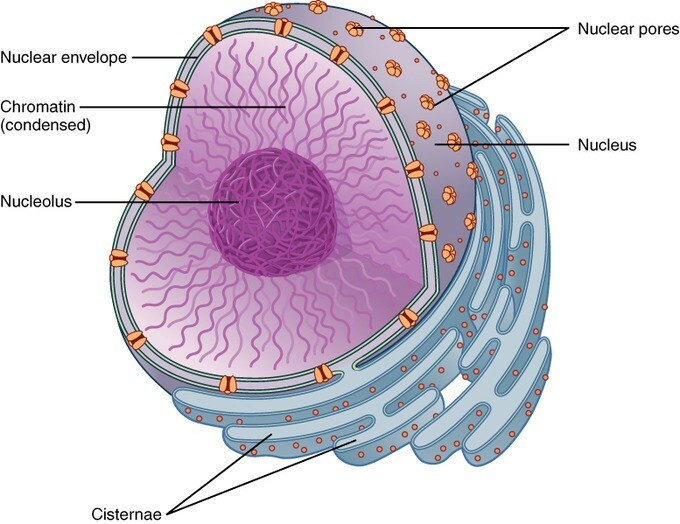 The nucleus is a relatively big membrane organelle. It is located in the centre of the cell. It looks like a hollow ball made from double membranes. These membrane walls have special holes. They are called nuclear pores. Nucleus plays a crucial role in the cell because it protects the most precious thing the cell has – information. The information is encoded in a special molecule called DNA. It contains multiple recipes for proteins that are written in fragments called genes. Each gene codes for one protein. When a certain protein has to be made, the gene is copied into a transcript made from other nucleic acids – matrix RNA (mRNA). The transcripts are sent out the nuclear pores to be used for protein production. And what happens to the transcript when it comes out of the nuclear pore into the big wide world of the cytoplasm? It moves to the protein-making factory! As the transcript comes out of one of the multiple pores in the wall of the nucleus, it gets into another organelle – called endoplasmic reticulum (ER). ER is composed of multiple sack-like parts made from membranes called cisternae that are connected to each other. One part of the ER is covered with small organelles called ribosomes. This part is called rough endoplasmic reticulum. 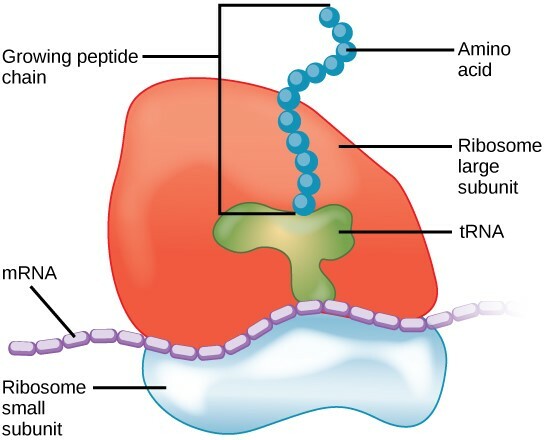 The ribosomes serve as attachment points for the transcript and other molecules that participate in the synthesis of the proteins. If the protein needs to be folded a special way or have other molecules attached, it is processed further in the cisternae of ER. The other part of the ER does not have ribosomes. It works with fats, or lipids. Then both proteins and lipids are packaged into ball-like “parcels” called vesicles. Some of them and travel to another major organelle common for eukaryotic cells – the Golgi apparatus. Golgi apparatus consists of multiple cisternae made of membranes that are stacked one upon each other. The vesicles from the ER travel through the Golgi cisternae network, and they are sent to the area they are destined for inside or outside the cell. Golgi apparatus is very important for secretion – the process when a cell produces a substance for the outside use. So, both plant and animal cells have a nucleus, endoplasmic reticulum with ribosomes, and Golgi apparatus But here the similarities end. In class, plant cells are usually used for experiments more often than animal ones. There is a reason for that. Plant cells are regularly organized and are usually rectangular or cubic. Remember, that the first cells were seen in plants as well (the first picture of cells was made when looking at a piece of cork). Animal cells are more varied and can have many shapes. Animals are active, so they have only a plasma membrane in their cells. But plants stay in one place and also need to stay constantly upright. Therefore, besides the plasma membrane, they have an additional structure – the cell wall. Unlike the plasma membrane, the cell wall is not fluid: it is robust and rigid. 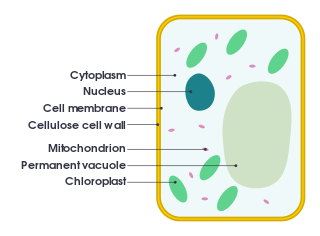 The main components of the cell wall are carbohydrates such as cellulose. It is not flexible. There are special openings – plasmodesmata in the cell wall, to allow the transport inside and outside the cell. Plants and animals both have special organelles that function as energy generators. 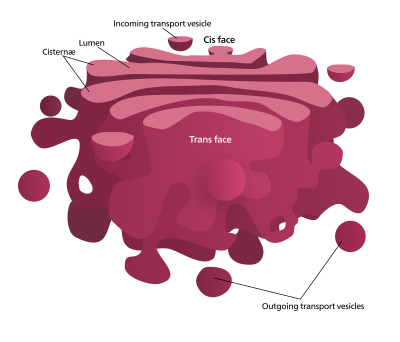 But as they get energy differently, the organelles they have are also very different. 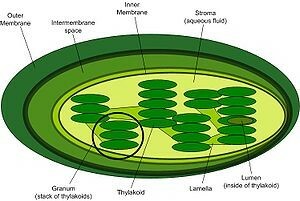 Chloroplasts are bean-shaped organelles formed by double membranes. The chloroplasts contain chlorophyll inside – a pigment that helps transform the energy of the sun into chemical energy. This process is called photosynthesis. As a result of photosynthesis, water and carbon dioxide are used to create a glucose molecule with the help of the energy from sunlight. Glucose is later used for getting energy or stored. 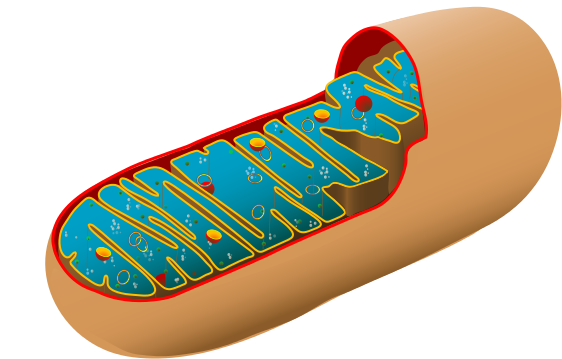 Mitochondria (singular – mitochondrion) are a bit similar to chloroplasts. They look like rods or beans and are composed of double membranes. But they do not contain chlorophyll or any other pigment inside. Instead, the inner membrane of a mitochondrion contains multiple proteins that perform a series of reactions that are part of the complex process called aerobic respiration. As the name suggests, oxygen is crucial for it. This process is used to create “energy currency” for the cell – ATP molecules. There are several processes in the cell that generate ATP, but mitochondria can generate more ATP than any of them. In animals, vacuoles are also important but are not permanent like in plants. They are used mostly for storage – either for nutrients, necessary proteins or dangerous substances. Cells are very diverse. For example, some plant cells may have mitochondria as well as chloroplasts. There can be additional structures as well. 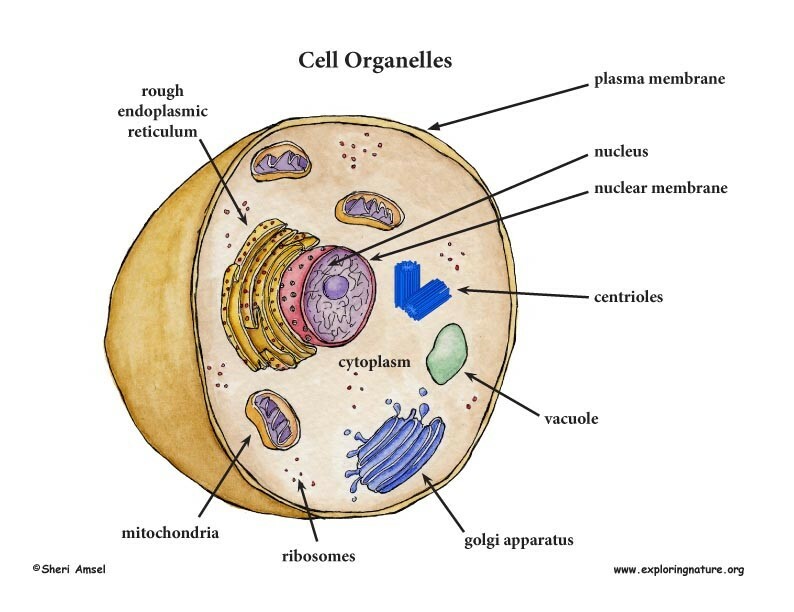 But the organelles listed above are most common for all cells that exist. They are crucial in the cell’s day-to-day activities and if they are damaged, the cells may die.